Published by: LJN, 1992 | Developed by: Software Creations Ltd.
Skynet wiped out 3 billion lives on August 29th 1997, you can change history If you believe in NO FATE! WAR AGAINST THE MACHINES. Your mission begins in the future As John Connor. 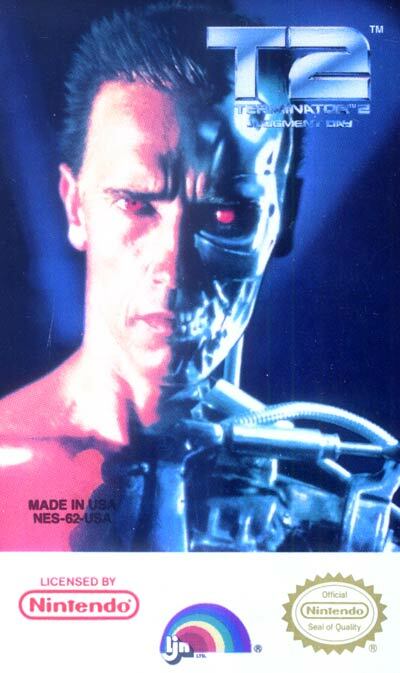 You must destroy Skynet defenses and send a reprogrammed T-800 terminator back in time to protect you! But beware, if you don't terminate the advanced T-1000 liquid metal terminator it's hasta la vista, baby!